Gettle’s in-house, full-service, Underwriters Laboratories (UL508A)-listed panel fabrication shop is fully-equipped to deliver control panels of all types and sizes. 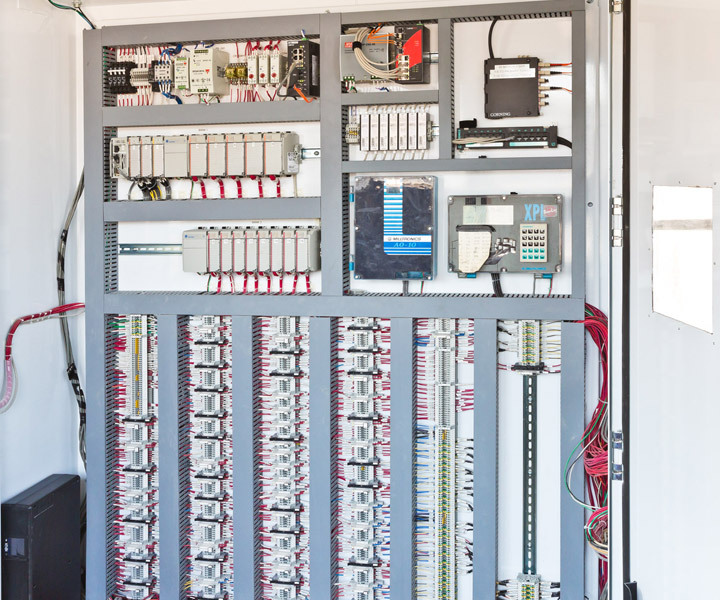 Our highly-trained team of industrial panel fabrication technicians provide quality craftsmanship throughout the assembly, wiring and testing process. Our panel fabrication shop has been serving clients for over 20 years and is operated by a highly-trained team with specialized expertise including a professional engineer licensed in multiple states and master level licensed installers. Gettle’s in-house panel fabrication shop offers maximum efficiency for clients, allowing components to be built and tested before delivery to the client site, minimizing costly downtime. Projects can be completed with designs and/or components supplied by clients or Gettle can provide comprehensive engineering, design and fabrication solutions based on the project needs. We work closely with our clients to plan installation and maintenance schedules aligned with their production needs, delivering value-added support and flexibility to minimize disruption and downtime. Gettle’s panel fabrication shop is committed to customer service and offers 24-hour emergency service and support. We understand when it comes to service, every second counts and we deliver fast response and quality work you can count on. Contact Gettle’s industrial panel fab team to learn more.